Jim Cramer, the perpetually energetic financial analyst for CNBC’s “Mad Money,” thinks it would be a natural for Apple to part with a chunk of its reported $123 billion in cash to buy Verona-based Epic Systems. Faulkner has created a charitable foundation to take over her shares in Epic when her time as CEO is finished. The estate gift to the Epic Heritage Foundation will comprise nearly every share of stock that Faulkner owns. As she told Modern Healthcare in 2015, the foundation will operate and fund non-profit organizations in health care and other areas, while ensuring Epic remains a private company. The footprint of Exact Sciences in Madison continues to grow physically; the vision for its healthcare mission has expanded, as well. Exact Sciences is already well known for Cologuard, its non-invasive test for colorectal cancer. President and CEO Kevin Conroy told the Wisconsin Technology Council board Jan. 15 that about 1.9 million people have used the home testing kit since 2014, helping to pinpoint tens of thousands of early stage cancers or pre-cancerous polyps. There were about 940,000 Cologuard stool tests in the last year alone. About 40 percent of Americans aren’t screened for colorectal cancer, however, because they don’t want to undergo a colonoscopy. Exact Sciences’ goal is to sharply expand its ability to process tests – well into the millions per year – to close that testing gap. A major processing laboratory south of Madison’s West Beltline Highway will help handle the demand when it opens this year. Nearby, the former Spectrum Brands building has been “reskinned” with a glass exterior, renovated inside and occupied. A separate research and development center is being built near two other Exact Sciences facilities in University Research Park; another processing facility is part of the Novation Campus in Fitchburg. Meanwhile, Exact has registered plans for studies to focus on other cancers, such as those that affect human livers, lungs, blood and more, with much of its clinical work around early stage biomarkers involving the Mayo Clinic. 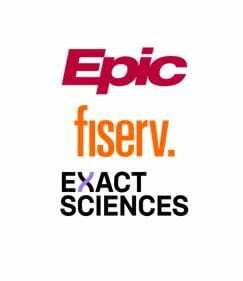 Other partnerships tap into Epic and its expertise in health data systems, and Pfizer for its sales and distribution network. “It’s the power of the science that really changes lives,” Conroy said. It may be years away, but that science could forge more tools for the cancer-fighting kit.